Want to make 52 Card Pickup more interesting? 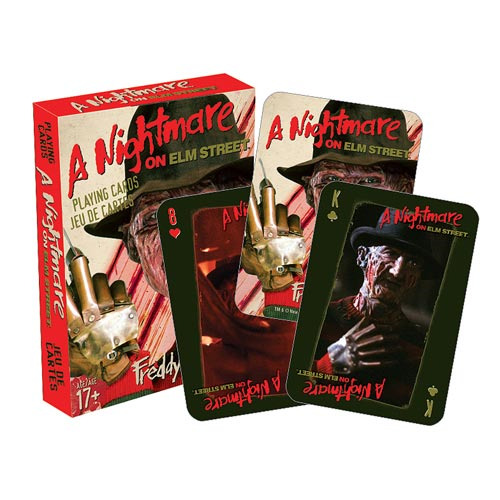 Play with the Nightmare on Elm Street Playing Cards! These nifty cards are great for professional players and fans, measuring approximately 2 1/2-inches x 3 1/2-inches with a linen type finish. Ages 17 and up.